Marketing Information: Catalyst 2960-X series Software Features All Catalyst 2960-X Series Switches use a single Universal Cisco IOS Software Image for all SKUs. Depending on the switch model, the Cisco IOS image automatically configures either the LAN Lite, LAN Base, or IP Lite feature set. LAN Lite models have reduced functionality and scalability for small deployments with basic requirements. 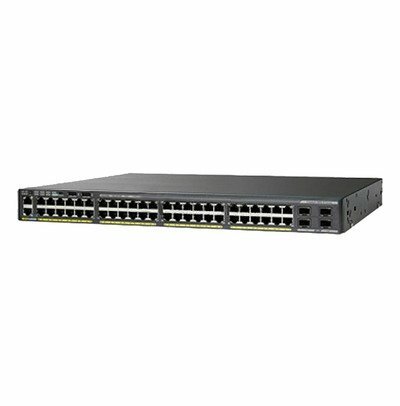 Cisco Catalyst 2960-X Family of Switches are available with the LAN Base and LAN Lite feature sets and Catalyst 2960-XR Family of switches are available IP Lite feature sets. Note that each switch model is tied to a specific feature level; LAN Lite cannot be upgraded to LAN Base and LAN Base cannot be upgraded to IP Lite.